Looking to SAVE THOUSANDS on your next home purchase? 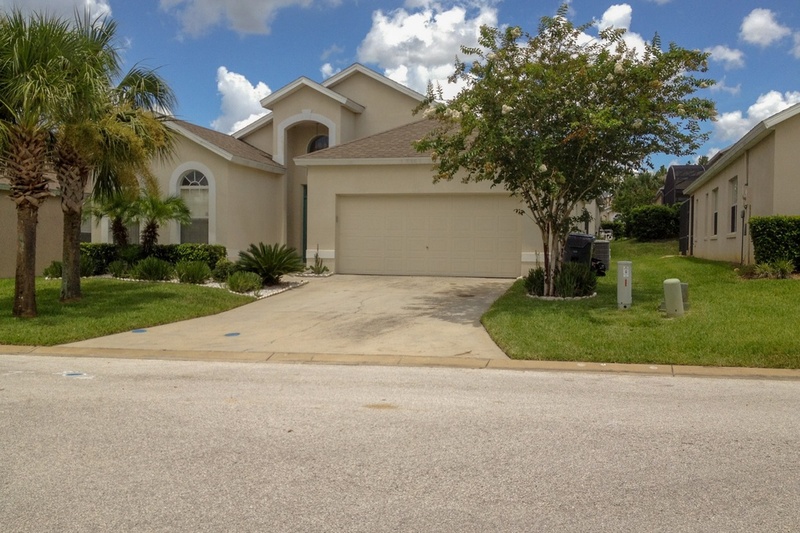 Look no further, this home qualifies for a NO CLOSING COST LOAN. 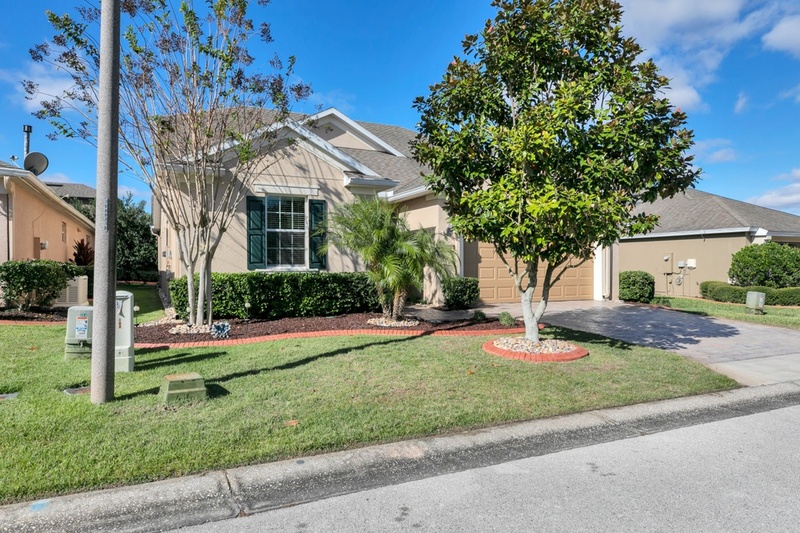 Here is your opportunity to own this Move in ready home located in the 55+ Golf course community of Del Webb Orlando. Awaiting your arrival is this LIKE NEW 3 bed 3 bath home adorned with mature landscaping and FRESHLY PAINTED EXTERIOR. 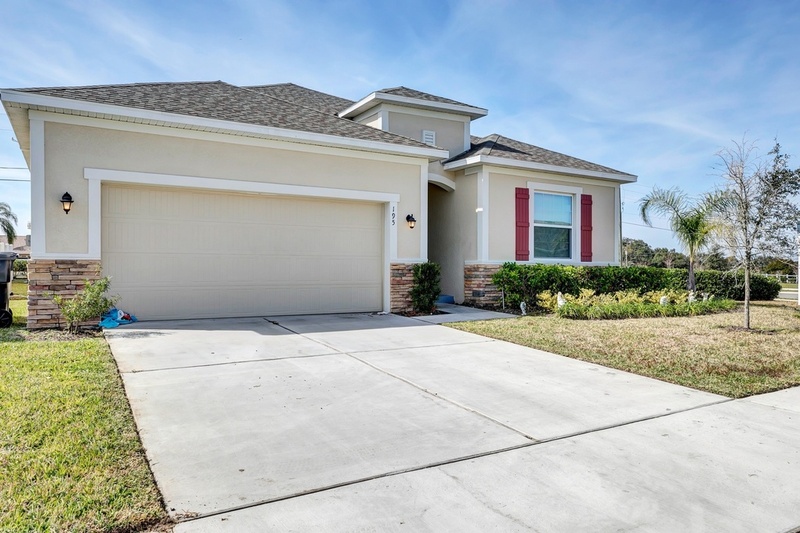 Upon entering you welcome the bright and open floor plan drawing you into the spacious living room and dining room combo with large ceramic tile flooring and a soft color palate. The beautifully designed kitchen features 42” CABINETS with PULL OUT SELVES , TILED BACK SPLASH , center island, GRANITE COUNTER TOPS and TOP OF THE LINE STAINLESS STEEL APPLIANCES. The Master Suite is located on the first floor, completed with a walk-in closet, extra-large vanity, and tiled shower. This floor plan also offers a hobby room that can be converted to an optional den or fourth bedroom. The second floor offers a bonus room along with the third bedroom and bathroom. Updates to the home include an EXTENDED GARAGE, large screened in LANAI WITH PAVERS , HOUSE SURGE PROTECTOR AND PHANTOM SCREEN ON FRONT DOOR. Lawn maintenance is included in HOA. Enjoy resort style amenities including indoor and outdoor heated pools, State of the Art work out rooms, indoor track and an active lifestyle program with entertainment and club activities. 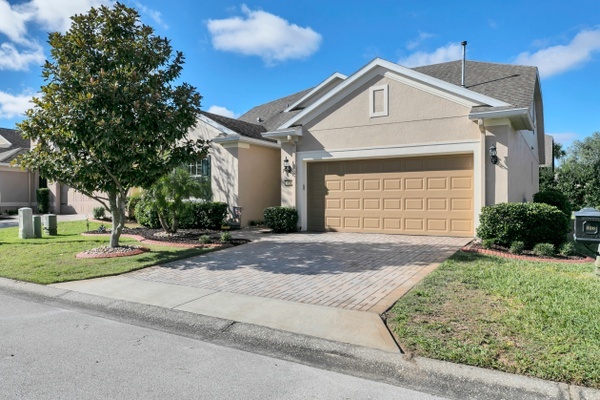 Come see this home today and start living the maintenance free life style today! located near shopping, medical & I-4 and much more! 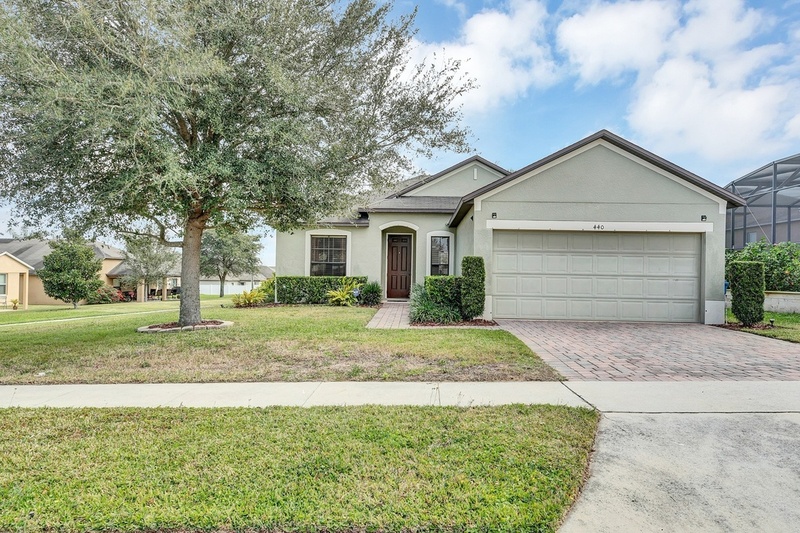 Get pre-approved to purchase this home with No Closing Costs! * OFFER TO PAY CLOSING COSTS: Additional terms and conditions apply, call for details. RP Funding will issue a lender credit at closing for the amount of Closing Costs on loan. Closing Costs include the following fees: lender fees, government recording charges, documentary stamps, intangible taxes, appraisal fee, and title charges. The appraisal fee paid by borrower up-front but fully credited at closing. Lender credit does not include rate discount costs/discount points, prepaid items (including mortgage insurance premiums, interest, property taxes, homeowners insurance, and any escrow accounts), or the payment of a mobile notary fee if the selected closing agent has an office which serves the area, or additional non-standard services requested by the purchaser. Offer to pay Closing Costs cannot be combined with any other offer. Additional costs apply to consumers choosing not to impound escrows. Offer to pay Closing Cost on purchase requires bundling of real estate agent from Listed.com along with RP Funding for mortgage. ** $1,000 Mortgage Challenge/Guarantee requires a minimum loan amount of $100,000 and applies to Fixed Rate Loans only. This Challenge/Guarantee is not applicable to Jumbo Loans and does not apply if borrower is declined by R P Funding for not meeting credit or income program guidelines. Borrower must provide Loan Estimate Disclosure to R P Funding from competing lender on the same day the competitor's terms are offered. Loan program offered by competitor must be a program R P Funding currently offers. This price match challenge / guarantee may be combined with other R P Funding offer(s) upon Lender's approval. This offer does not apply to prior locks or terms, and R P Funding must have an opportunity to beat the terms. In the event that R P Funding is unable to beat the terms of the competing lender, borrower must provide the final executed Closing disclosure, the first page of mortgage note after closing and funding, and the lock-in agreement dated the same day terms are presented to R P Funding, all of which will be used to verify competing lender's terms have not changed at closing. The $1,000 Mortgage Challenge/Guarantee is not applicable if the loan closes on terms different than those detailed in the Loan Estimate Disclosure provided to R P Funding. Change in terms include, but are not limited to, changes in loan amount, loan program, fees, discounts, lender credits, rate, APR, buy-downs, years of term, origination, down payment, seller or any interested party credits, and within the time of the competitor's initial lock in, or any other material loan changes not specifically mentioned here. The price match challenge / guarantee is inclusive of ANY and ALL R P FUNDING lender credits.